4pcs The Incredible Avengers Hulk Green Red Action Figure Toys 4.3"
Good for your collection!Good gift for your friend or Child. Color:As picture. Material: PVC. Weight: 140 g.
Item: Super Mario bros. Great for collection or as a gift. QTY: 1 Set/Lot (1 Set=18 Pcs). Fortnite Action Figures 16Pcs Heros Save The World Kids Toy Gift UK Free P&P!!! Length (Head to Tail): About 14" = 35 cm. A quick reply would be sent within 24 hours from our service centre. Due to the difference between different computer monitors, the picture may not reflect the actual color of the item. 1x Crocodile. 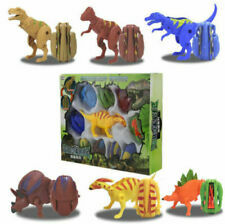 The sets are made up from a larger collection of animals so colours of creatures and shapes will vary. We have been trading on E bay for many years so have a pretty good idea of how it all works. A quick reply would be sent within 24 hours from our service centre. Version : China Version. Length (Head to Tail): About 4" = 10 cm. Due to the difference between different computer monitors, the picture may not reflect the actual color of the item. See all condition definitions- opens in a new window or tab Material: PVC. Size: about 1.5 cm - 3 cm Character Family: Minecraft. MPNDoes Not Apply. ColorAs the picture. to resolve any problems and we will try our best to satisfy your needs. Note: FX port only for decoration Condition:100% Brand New Item Weight: 460 g Size: 7.3 x 16.6 x 30.5 cm Material Type(s): Plastic Package include: 1*Action Figure. Material : ABS Plastic. Do not Eat! All countries. 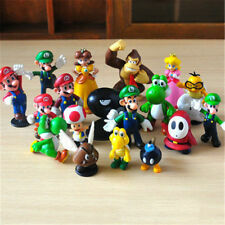 Item: Super Mario bros. Material: PVC. QTY: 1 Set/Lot (1 Set=18 Pcs). 2Pcs Avengers Infinity War Titan Hero Series Thanos & Hulk Action Figure Toys 7"
Material: PVC. A great gift for your children & friends. there maybe color differences between different computer monitors. There are slight difference between the picture and the real item caused by light brightness,hope you can understand. Color:As Shown In the Picture. Material:PVC. The color might be slightly different from the real one due to different computer display . Material: PVC Plastic. Great gift for Thanos fans. We believe communication will fix problems. Size: 6" height. Due to the difference between different computer monitors, the picture may not reflect the actual color of the item. Material: Plastic. and will work hard to earn your praise. Thanos is shown in attack pose, with Infinity coming from his gauntlet. 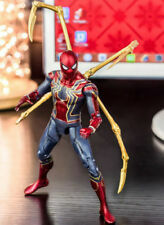 From the Avengers Infinity War series. Function: Decoration, hand, gifts, toys. Pls touch us first before you leave Neutral. They may need your phone number to call you to pick it up. ● Uses:toys, decorations, collectibles, gifts. ● This product can be used as the best toy gift for kids boys and girls. Harry Potter 8 : Harry Potter, Hermione, Lord Voldemort, Malfoy, Severus Snape Professor, Ron! You need DIY by yourself as Instructions to build up the toy. Material: PVC. Product weight: 0.2 kg (7 oz). Avoid choking hazard! Playing should be in the custody of adult. Avoid choking hazard! Playing should be in the custody of adult. Material: PVC. Product weight: 0.2 kg (7 oz). The Iron Throne #Game Of Thrones A Song Of Ice And Fire Replica Statue Figure 7"